Women, Rise Up! by Cindy Jacobs is a refresher for women everywhere. The book guides us, women, back into the Christian fold. Showing and telling us how to live as Christians. Quotes from the Bible are seen throughout the book. But they do not overwhelm the author’s main purpose. 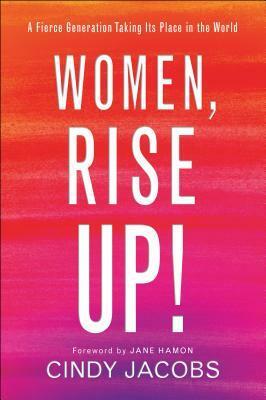 Women are to rise up, and be demonstrators or influencers of good deeds. Sure, we are all human so, yes, mistakes do happen. The writer/speaker keeps her words real by saying after we have gone through the pain, anger, and sorrow stages, we need to learn how to forgive. Forgiveness is one of the hardest things to accomplish. We all have been hurt big and small times many times over. But in the end, we must move forward, and to do that-we are to forgive. Just like the Bible tells us. There were many other motivational and inspiring messages throughout this book. I really enjoyed reading this Christian book and will keep reading it over time. Overall, this is a must read for all women. Amazon, book, book review, Christian, Christian Belief, Christian Life, Christian Living, Easy to Read, Educational, forgive, Goodreads, guide book for women, influence, informative, inspiring, learn, life, Live, motivational speaker, must read, new, Nonfiction, positivity, self help, women, Women Rise Up!